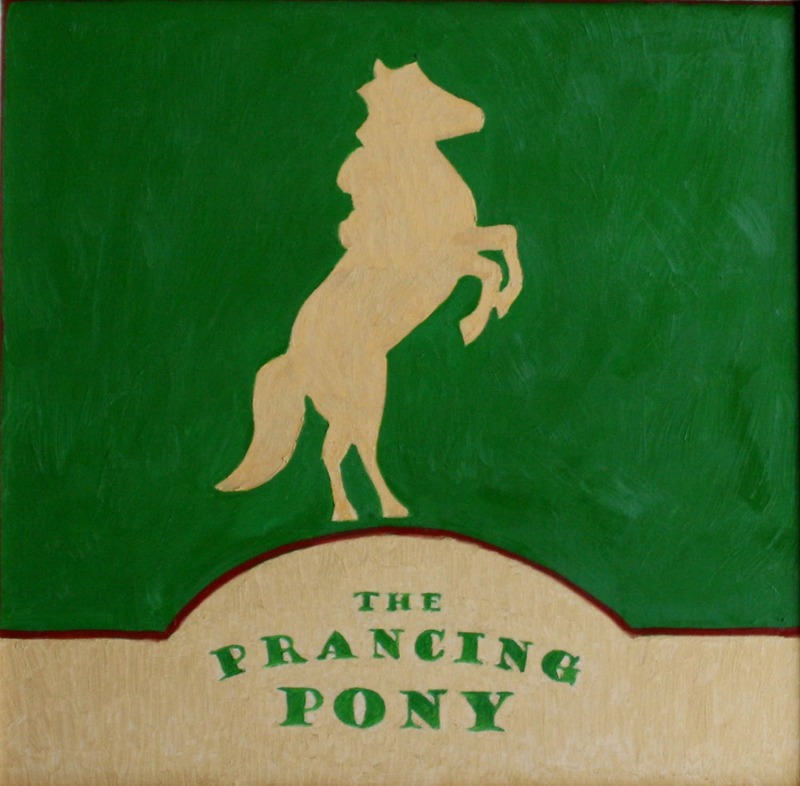 The Prancing Pony, located in Bree on the Great East Road. A homely place, comfortable for men and hobbits alike. Famous for their giant mugs of ale. 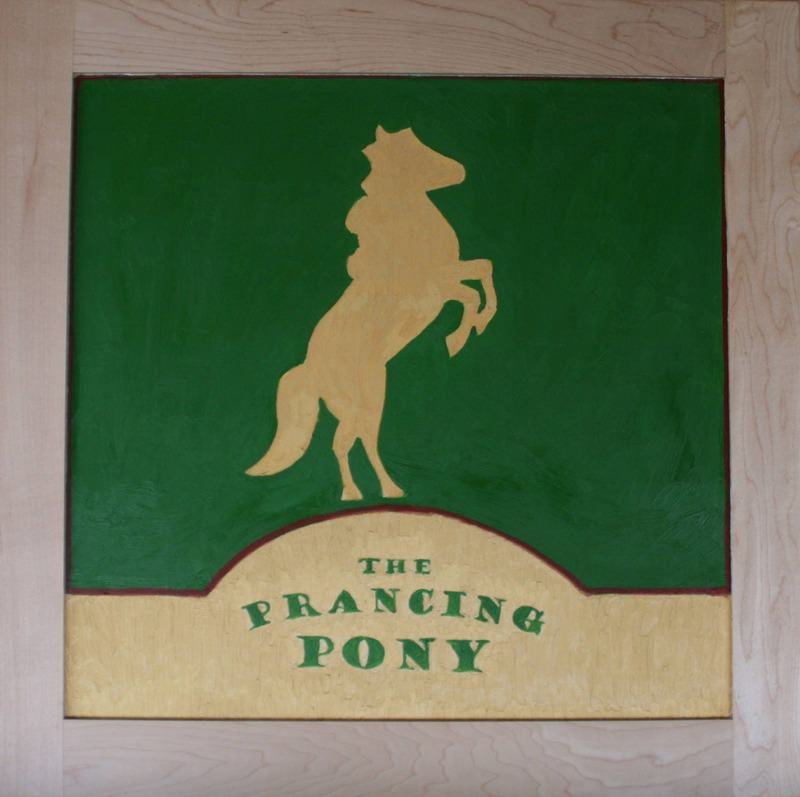 This is a traditional tavern sign, painted with oil paints on solid wood. Hang it near your home bar and see how many friends get the subtle Lord of the Rings reference. This is an oil painting on wood. The image is approximately 19 inches by 19 inches. With the built in frame, it is approximately 24 by 24. Wired for hanging on a wall.